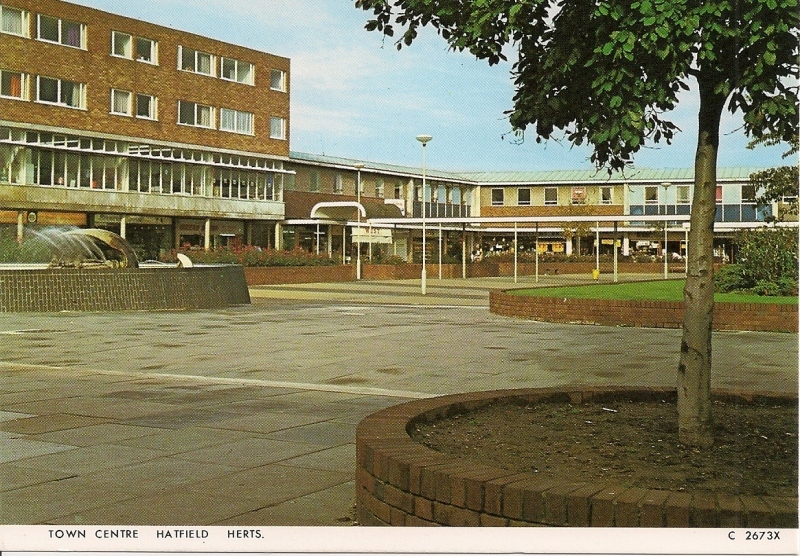 With the development of the post War Hatfield New Town the focus of social and commercial activity was directed to a new town centre formed around White Lion Square and the market place, both closed to traffic. 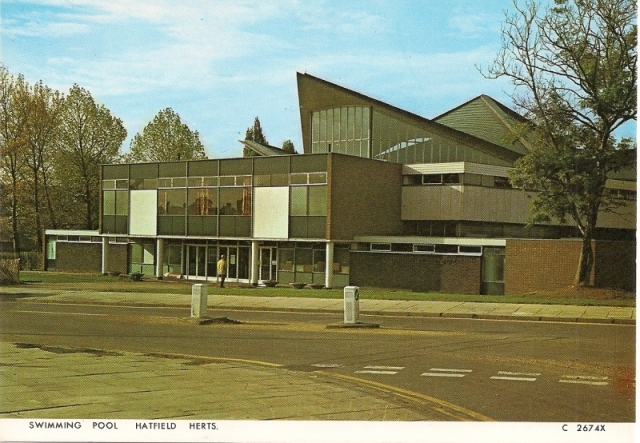 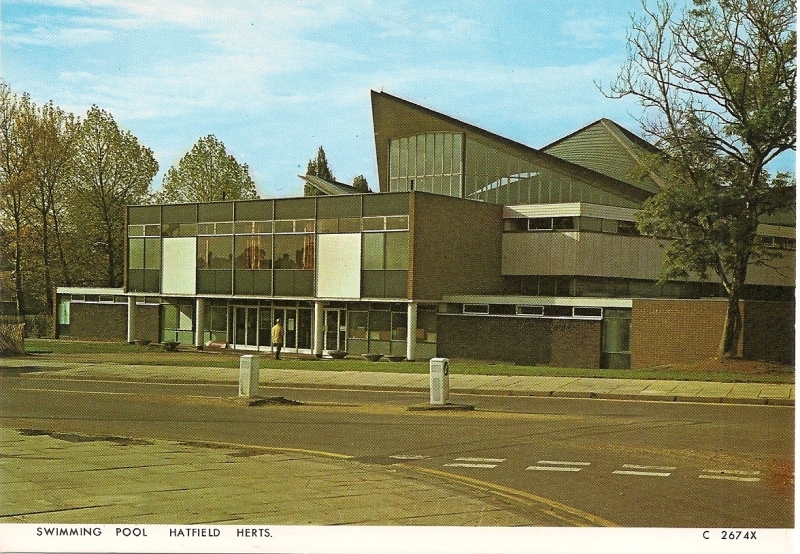 The Hatfield swimming pool opened on 30 September 1966. 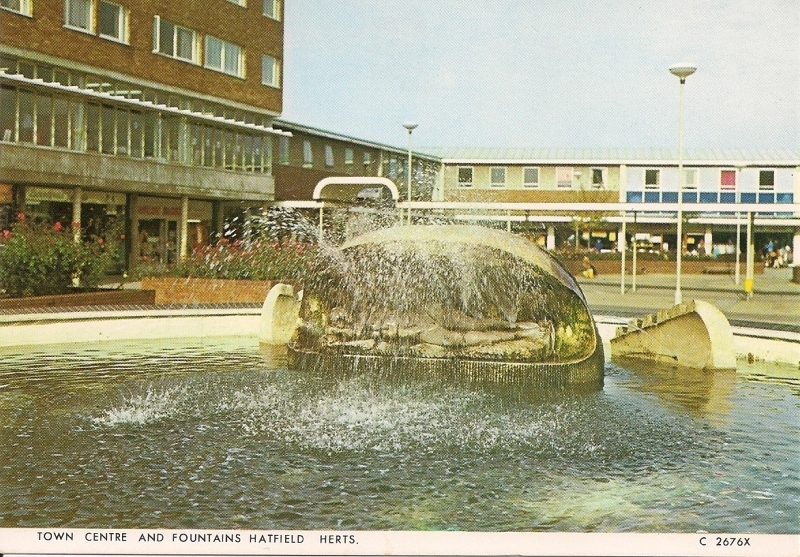 The Pearl in the Oyster sculpture was commissioned in the early 1960s and the sculptor was James Butler. It was in White Lion Square for some years before being taken down. Many residents of Hatfield hope that it will be returned some day. 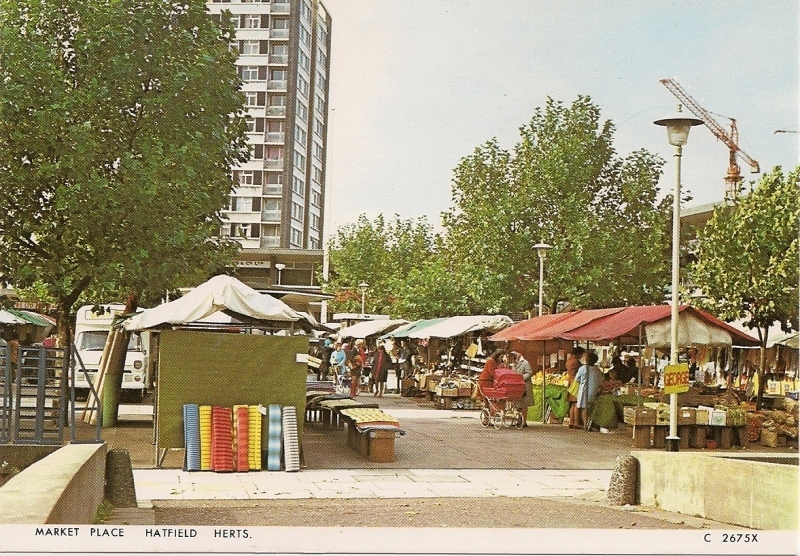 To view this Gallery, either hover your mouse-pointer to see the various captions or click on a specific photo and then use the left and right arrows to move through the album.